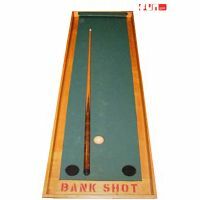 Your guests has 1 chance to sink a hole in one by banking the ball off of an angle. 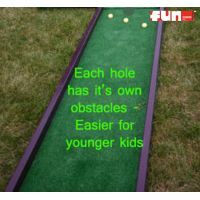 Do you think you have what it takes to get that hole in one? Make it and win a prize. 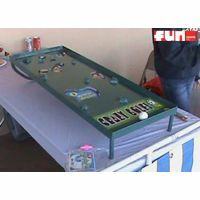 (All ages game) A fun game rental party idea for any special events, school carnivals, birthday parties, church festivals or company picnics. 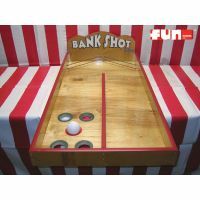 The Golf Chipper Challenge Game Rental is great for any golf enthusiast. 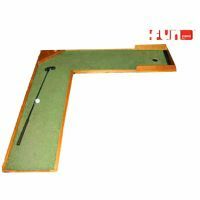 Players chip Velcro golf balls that stick to the golf hole target. 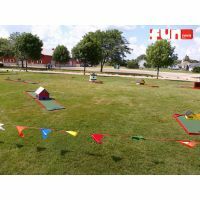 The target area is 7 x 7 and includes hazards and a green. Keep score by tracking where to Velcro ball sticks to.